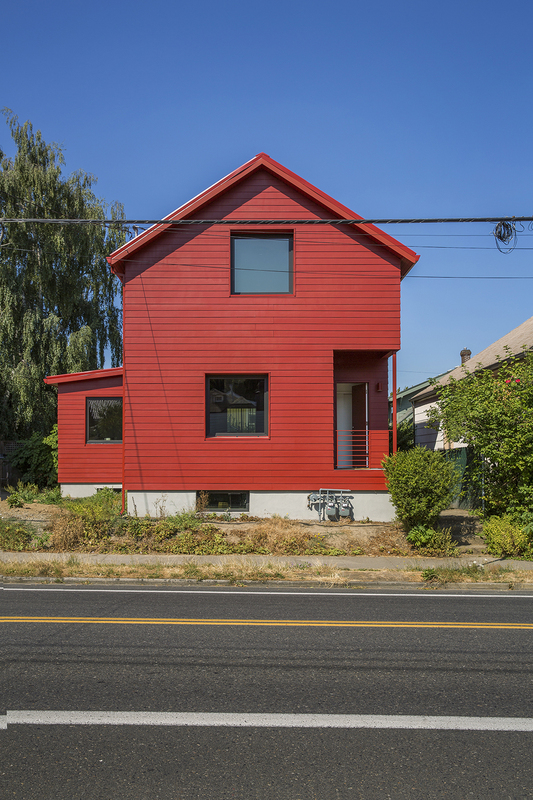 Built in 1910, this proudly monochromatic home in southeast Portland, Oregon, opens to reveal a contemporary, book-filled interior. This Tasmanian getaway was designed as a “box within a box,” in which two interior structures—an open-plan living space and two en suite bedrooms—sit within its exterior envelope. Inspired by the region’s fiery orange lichen and the indigenous waratah shrub’s bright flowers, the colorful exterior panels are made of heavy-duty galvanized steel to guard from winds that can reach up to 60 miles per hour. As assistant professor of physics at Mount Holyoke, Alexi Arango uses his very yellow house, built with Passive House design standards in mind, as a teaching tool. 1,000-square-foot home in Amherst, Massachusetts is run entirely by solar power. He uses the home as an example in the class he teaches on renewable energy. When it came to color, the owners of this California country home didn't want to limit themselves. Rather than settle for a single hue, they painted their home with Valspar’s Kameleon Colors, an innovative line of paints that appear to change color based on the position of the sun and the viewer. For the facade, they selected Dusty Rose, which looks bright green in the early morning light. This forest-green house outside of Stockholm might call to mind a Monopoly house, but architect Per Franson had another archetype in mind when designing the prefab structure: “How would a kid draw a house?” says Franson. The home's unusual color comes from a traditional source: falu rödfärg, the historic mineral paint that gives the region’s famous barns their red color. Here, the addition of a tint created a hue that matched the house’s green Plannja roof panels. The blue porcelain tiles covering the exterior of this bold Tokyo home are typical of commercial buildings of earlier decades. “It was intended to invoke nostalgia of the past and newness at the same time,” says lead architect Akio Nakasa.